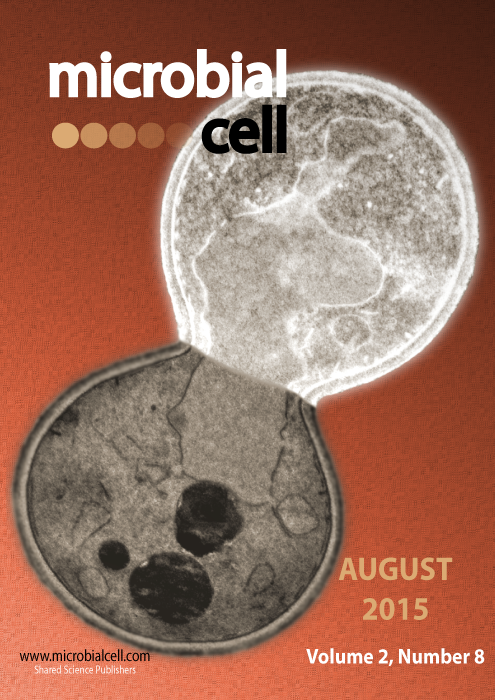 The cover represents a transmission electron microscopy image of a mutant (pds5-1) yeast cell, showing the nucleus unable to divide at non-permissive temperature. It also shows clear markers of apoptotic cell death, especially in the daughter cell (upper). Image by Zhajie Zhang (University of Wyoming, Laramie, USA); modified by MIC. The cover is published under the Creative Commons Attribution (CC BY) license.